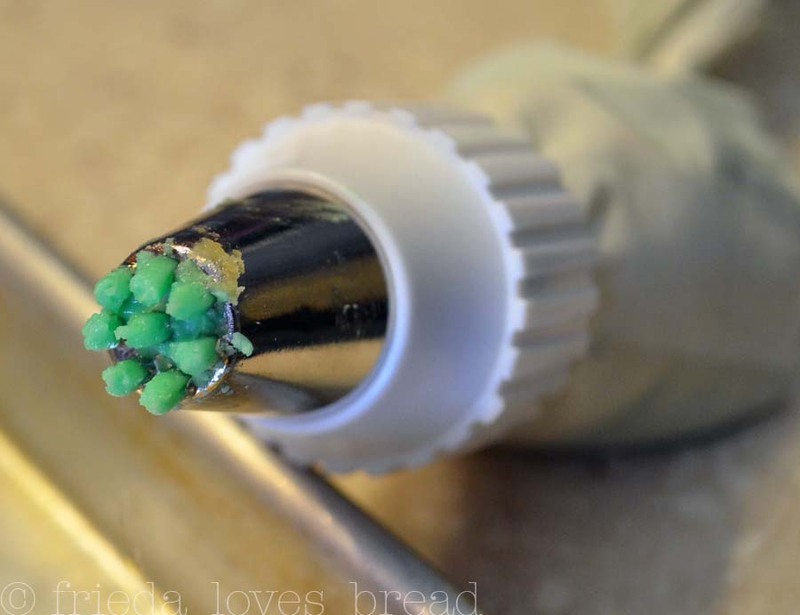 Frieda Loves Bread: Cupcakes for the Golfer in Your Life! 2 Cupcakes for the Golfer in Your Life! 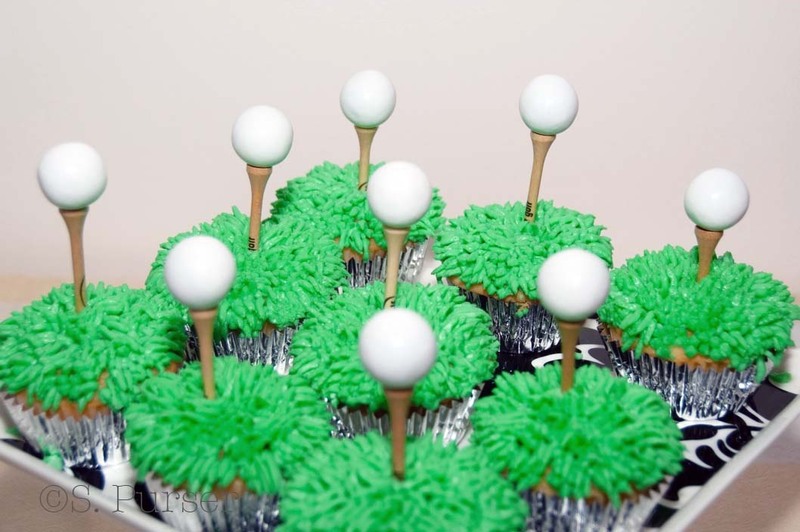 She had this great idea for her future son-in-law's birthday ~ to put a chocolate golf ball on top of a golf tee and stick it into this cupcake. Isn't that a great idea? The perfect cupcake for the golfer in your family! She was short on time and came up with an equally great idea for the golf balls: large gumballs! See, I told you she's smart. Making the grass icing was a lot easier than I thought. Just watch. 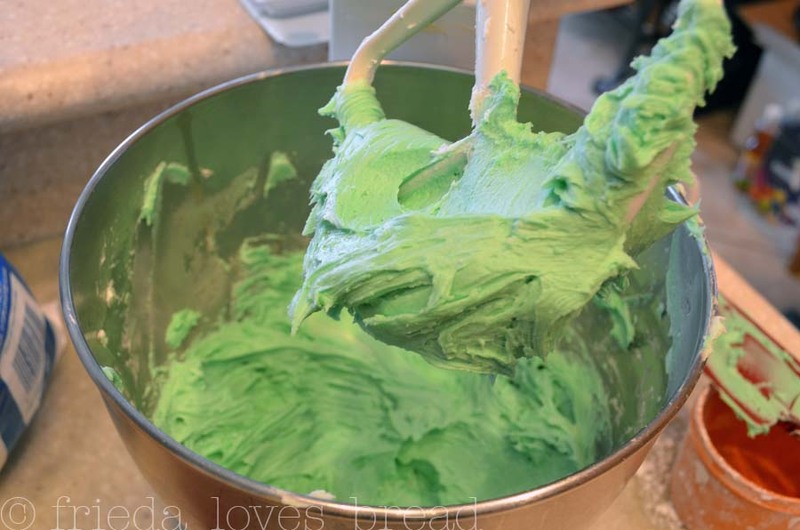 It started with my favorite buttercream frosting. Use the maximum amount of powdered sugar listed in the recipe to make this on the stiff side. 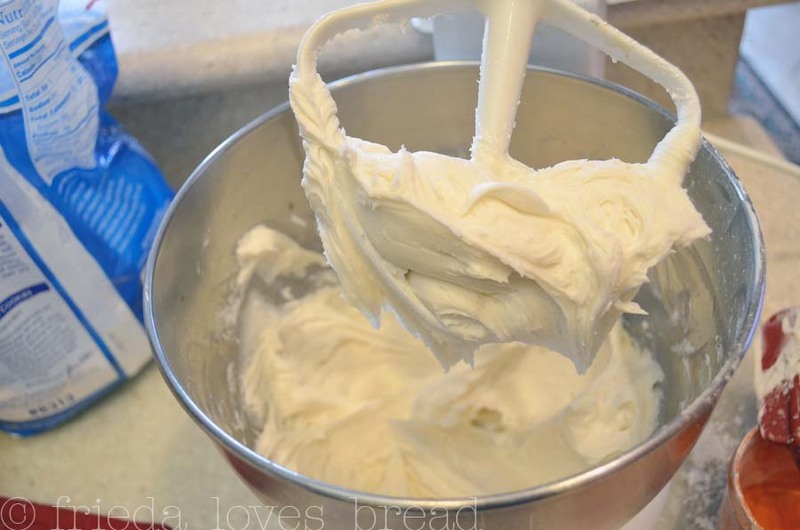 Don't add too much powdered sugar, or it will taste too much like powdered sugar and won't have that buttery-creamy texture in your mouth. 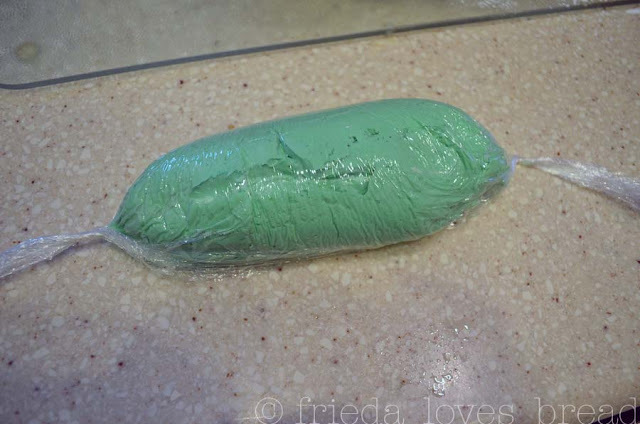 Next, to get a deep green color, I used Wilton's concentrated paste in Kelly Green. You can find this at a Michael's or JoAnn's craft store. 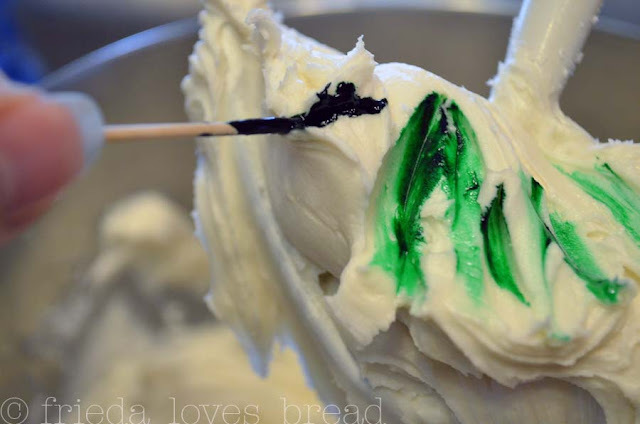 Dip the toothpick into the paste and add it to your frosting. Keep adding/mixing until you get the color you want. 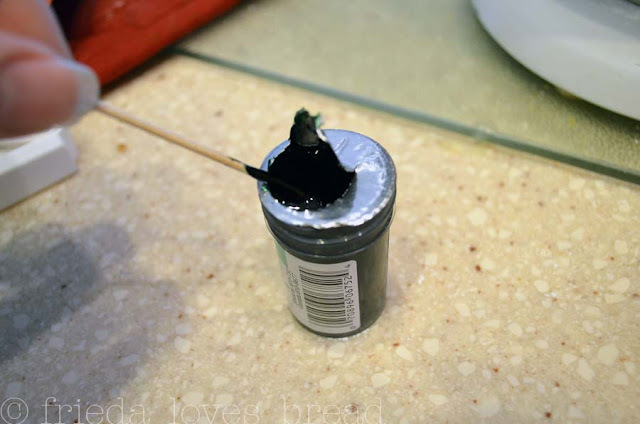 That looks like the right color! I am forever in debt to thekitchn.com for this video. No more washing out my decorating bags ~ and it is so easy to change into another color! I just happened to have the Wilton #234 grass tip. It worked like a charm! 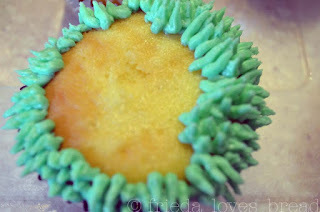 To decorate the cupcake, you will want to start on the outside. Trust me, it is easier to do it this way. Holding the decorating bag at 90° near the surface of the cupcake, squeeze, pull up, and when your grass is about 1/2", stop squeezing and quickly pull away. Here is my finished project, ready to give to my neighbor! 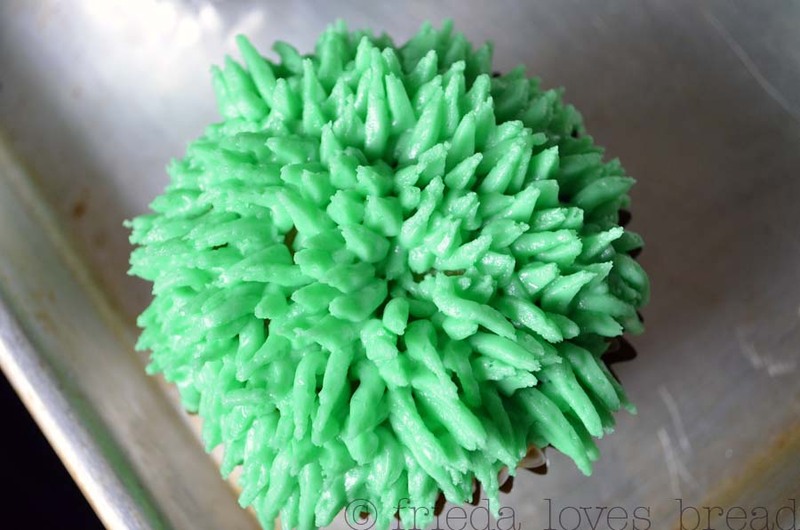 This recipe will frost two dozen cupcakes with this technique. Do you think this is a great idea for Father's Day? These are so fun! Perfect for Father's Day! those are SO CUTE!!! i love the golf tees...adorable! thanks!